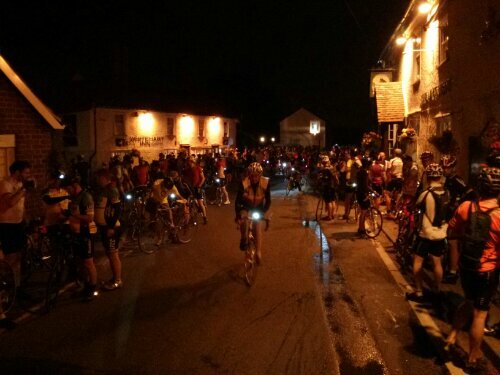 Thousands of cyclists went through Moreton, Essex, as part of the annual Dunwich Dynamo ride which was held last Saturday. The ride started in London Fields at 8pm and finished at Dunwich on the east coast the following morning. This unsupported ride accommodates all cyclists who are happy to be sleep deprived – club riders, tourers, recumbent, tandems, even unicyclists. Moreton the following morning, looking decidedly less busy. 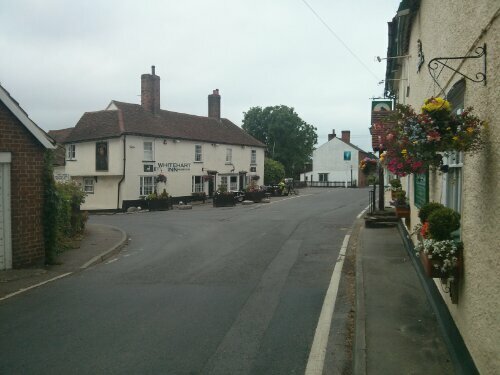 My rear tyre sidewall had ripped during the ride just outside of Moreton, ending my ride, so I carried my bike back, checked in to one of the pubs, chatted with other cyclists then enjoyed a lock-in. Big respect to the landlords and staff of both pubs in Moreton, especially the Nag’s Head, where the publican was still fuelling cyclists and ferrying injured cyclists back to the pub at two in the morning. 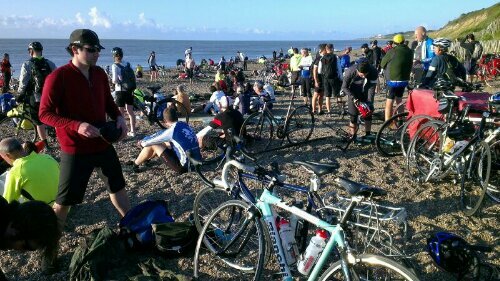 Cyclists on the beach at Dunwich. (Photo courtesy of HJ.) That will be me next year!